We have a soft spot in our hearts for fish with aberrant color morphs, as they have unique colors and patterns that make them stand out in a crowd of conspecifics. And while the latest aberrant angelfish find from C.V. Blue Star Aquatic doesn’t have an overly dramatic color morph, it’s still just different enough to make an interesting fish. 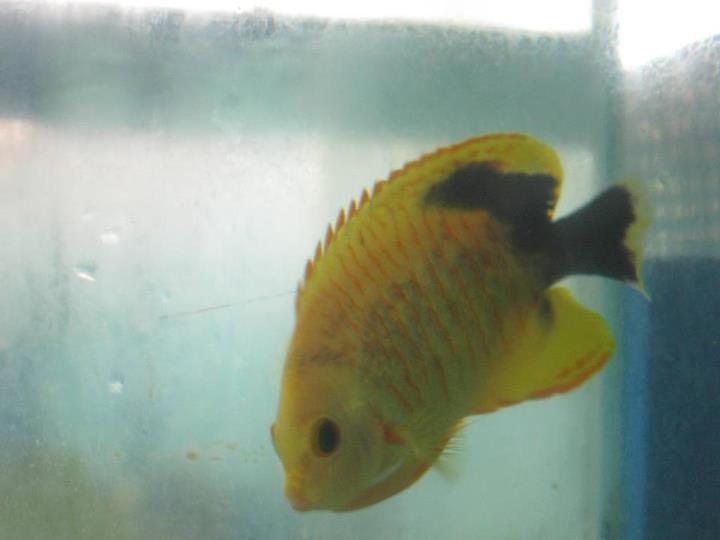 The Eibli Angelfish (Centropyge eibli), seen in images at the top and bottom of this article, sports pretty typical coloration with the exception of the irregular black coloration on the tail, as well as a “muddied” coloration on its body. 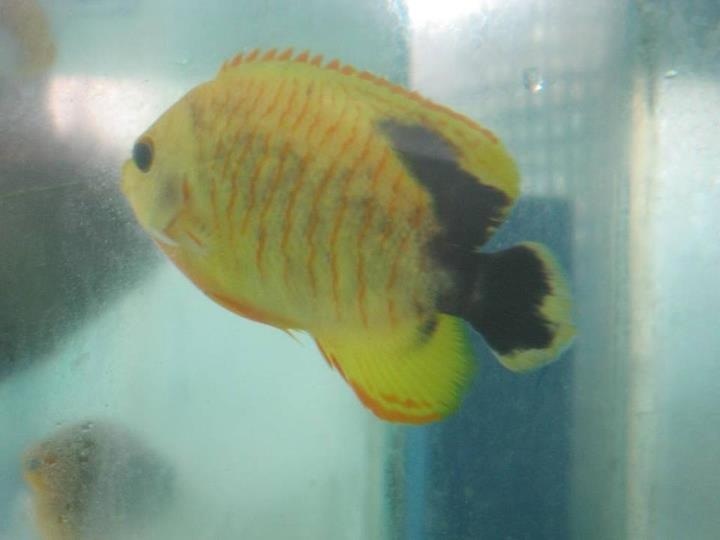 The colors sort of remind us of the Mutant Scopas Tangs that have been rather persistent in the hobby as of late, though the angel has much more subdued differences. Interestingly, the black splotchy color on the tail isn’t complete, and leaves a lot of yellow. Comparitively , the typical Eibli angelfish has a completely black tail that even has a vibrant blue outline. The last thing we notice is a xanthic coloration to the Eibli’s body. We reminded of a particularly pricey Lemonpeel x Eibli Hybrid, but we’re not ready to commit to that notion, especially since juvenile Eibli angels have a yellow tinge that turns to gray as they mature. Hybrid or not, this oddball angelfish is definitely cool. The fish was caught from an undisclosed location by a diver working for C. V. Blue Star Aquatic. We reached out to them for more information, but all we were told was that this fish was caught alongside several normal looking angelfish.